Your Mindset is Your Biggest Asset. If you have the mindset that you have no control over your situation, then you’ll have no control over your situation. Plain and simple. To really make progress you have to believe that it can be done. You have to have the mindset that all things are possible and that you can dig yourself out of whatever situation you’re in – because you can. You can’t expect instant results but you can move an inch in the right direction every day. Those small movements will eventually compound and become massive. Spend Less Than You Earn. I don’t focus too much on frugality here because it’s always come naturally to me. I don’t derive much joy from spending money, I never have. I don’t deprive myself either. I strike that balance where I buy what I want but do so in smart ways that aren’t going to take 15 hours of my time. 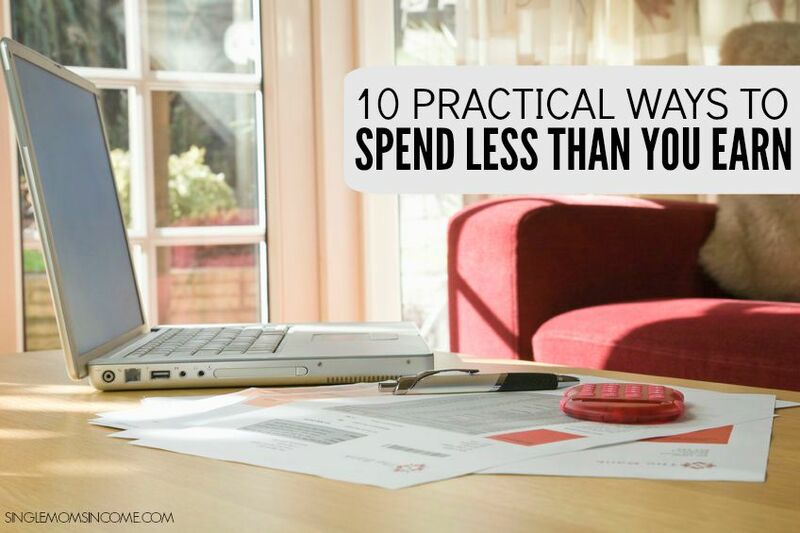 Here are 10 super practical ways to spend less than you earn. I know many people who are in complete denial about their financial situation. They are up to their eyeballs in debt and yet are always scheming up new things they need to go into debt for. If this is you please, snap out of it. Go through all of your expenses and write down where you actually stand. How much do you spend every month and on what? What are you debt levels like? What are you savings like? Knowledge is power. Know where you stand. Don’t blame yourself for past mistakes but don’t pretend like they don’t exist. We all make mistakes and we all have the ability to self-correct. Be 100% honest with yourself or no “savings hacks” will ever do you any good. This is my favorite “anti-budgeting” method. From time to time I’ll diligently track my expenses but it never lasts. It just doesn’t fit naturally with my personality. So, instead I take my savings from the top. I have certain income streams that are automatically sent to savings, one just for taxes, and certain income streams that I spend. It works extremely well. I never have to worry that I’m not saving money on a particular month because it’s automatic. This worked great even when I made much less money. If you have a hard time saving money then set it up to be automatic. Out of sight, out of mind. If you’re financial awareness resulted in the realization that you’re spending too much money on pointless things then take some action. 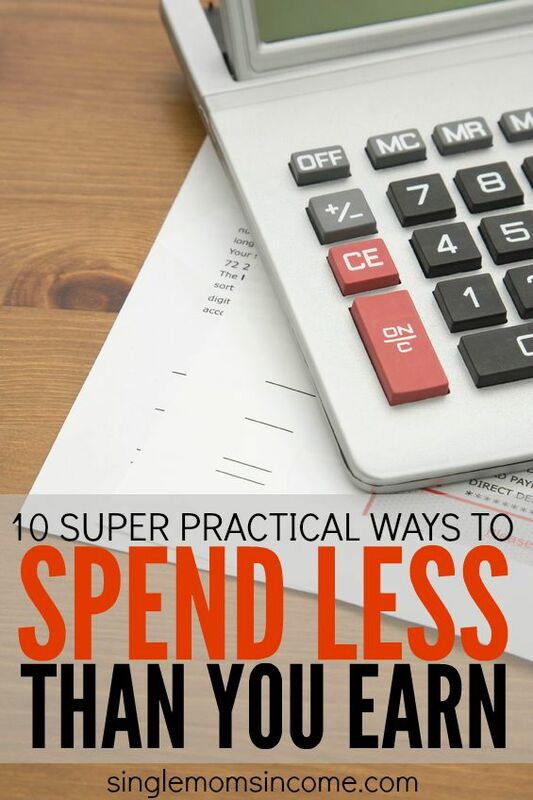 Start lowering the amount you’re spending on non-essentials. However, you must go about this in a very careful way. Don’t completely burn yourself out. Determine what realistic cuts you can make this month and then keep going until you reach the desired amount. Also, I’m not saying you should never buy things you want. Quite the opposite in fact. You should just have an intentional plan for doing so that includes financial responsibility. There are some easy ways you can save money without lowering the quality of service you get. Cell Phones – Unfortunately for me the only phones that work where we live right now are AT&T. However, when I lived closer to town I did use Republic Wireless for quite a while. Republic Wireless is one company that has cell phone service starting at $5/month. They aren’t the only company with good rates though – shop around! TV – If you don’t want to give up TV (no judgement here) call and ask for a lower rate or switch providers. When I lived by myself I relied solely on Amazon Prime and DVDs for more than a year. Internet – Same deal. Check around on different options or simply call your provider and see if you can get a better rate. There’s never any harm in asking. If one of your financial goals includes paying off debt then go ahead and tackle the loan with the highest interest rate. If you have a high balance you could save yourself a TON of money by quickly (or quickly as possible for you) paying this off. Paying interest is no fun and can cost you dearly. This is a tip people don’t like to hear but I have to include it – this one thing SAVED me financially after a divorce. Your housing can quickly eat up the majority of your income. If you’re paying too much for your current housing expenses you should at least consider other options. One thing I hear people complain about often is their car payment. I totally get it. When I was pregnant with my first daughter I financed an $18,000 car when I was only making $18,000 per year. After I paid that sucker off I decided to never get a car loan again, and I haven’t. 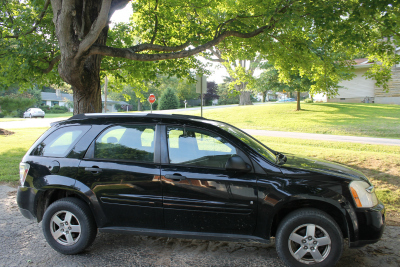 If you have to finance a car make sure that it’s a reasonable proportion to your income. I personally like Financial Samurai’s rule in regards to this – your car budget should be 1/10th of your annual income. I don’t think you should go through life never buying anything. If so, what’s the point of earning money? You need to manage your money in a very intentional way. One easy way to save on these types of purchases is to figure out who has the best prices on the things you commonly buy. You’ll be saving money on a repeated basis. Using a deal site to save money is pretty much a no-brainer. If you’ve never used a deal site – I promise they will save you money as long as you’re only purchasing with intention. If you’re a Discover Card customer you can use Discover Deals to earn cash back. If you’re responsible with your credit cards this is an extremely easy way to save money. Just log into the Discover Deals portal and find a deal for where you’re shopping. Easy and so much quicker and more convenient than clipping coupons. Also, new cardmembers who sign up for a Discover it card before the end of the year will earn double Cashback Bonus® for the first year! There’s no such thing as perfect, or even a “right way,” to do things. We’re all different and we all make mistakes. If you need to save money, for whatever reason, just jump in and give things a try. You should absolutely remain aware of your financial situation but will need to tweak your savings method and financial plan to your individual needs. What practical ways do you save money? A big thanks to Discover for sponsoring this post. All opinions are my own. Previous Post: « Are At Home Assembly Worker Jobs Scams? Right now I’m trying every suggestion I read about to see if it works for me. I am definitely living above my means and really need to eliminate major debt! I’ll be sure to try these tips as well. I especially like the take the savings from the top! I agree with you on the car. While I love driving a nice automobile (its a passion), I recently sold my car to put more money in the bank and bought something that did what I needed too. Have many friends who I interact with who do not understand why I sold my car, but at the same time I eliminated a few hundred dollars a month in expenses, got a nice check. On the other hand some of them are dropping 50% or more of their income on cars and barely saving (if at all). I also like your point about a housing situation. The area I live in most homes are running $350k+ to just get started. I would love to buy one, but the flexibility of renting while putting more money away and eliminating the headaches of the upkeep of a house is better. I do not need one today in my twenty’s, or maybe at all in the future. I love the freedom of being able to break my lease at any time and move to a new city for a new job, or to a new state or part of the country. Having a house sounds great and can be, but I think it also ties many people down and costs a lot more than some realize. Balancing your check book is key! It’s important to know how much money you have in your account at any given time. This keeps you from over-spending. If you spend blindly and just tell yourself you’re going to figure it out later, you’re going to regret it. Thanks for the post! I am happy to say that now I don’t have debts so I can be more focused on savings, but I am working on considering some areas for expenses decluttering… however great suggestions!!! Thanks for sharing! To track expenses and incomes, there are useful and free tools like mint.com or personalcapital.com(free phone app too) – you can have all your accounts in one place and easily see where you spent your money and what’s the balance in each account. However I don’t necessarily agree with not ever getting a car loan. If you can get a car loan at a really low intertest rate or 0 interest rate, it would be a better option than paying it off – because you could’ve used the moeny to make investments that yields higher returns than the car loan rate. BTW, CricketWireless shares the same network as AT&T but it has lower rate plans – you can check that out! It is the best way to watch my spending is that I don’t spend more than what I earn. I sometimes look for deals that I can afford and others I can’t, so I learn the hard way that I don’t often buy what I want. Many things I don’t really need unless I am sure they will be part of my essentials. I don’t have Internet or tv cable at home, so I rely on AT&T a lot, and it has saved me a lot of money this way.